MADERA – Madera County has a pigeon problem. Hundreds of the birds have taken up residence in and around the downtown Government Center and its open-air parking structure. The large pigeon population creates a health hazard as their droppings can spread disease. 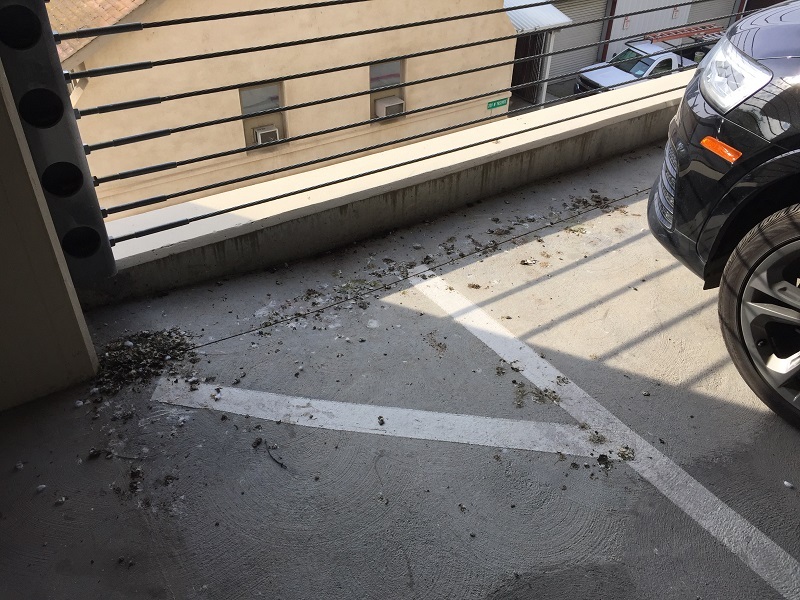 The bird feces can also cause damage to the buildings, and the materials used to build their nests can block drainages and make a cozy place for parasites to take up residence. It can also damage the paint on vehicles parked in the garage. Earlier this month, the board of supervisors committed to spending nearly a million dollars over a 20-year period to deal with the avian vandals. A million dollars certainly isn’t chicken feed. 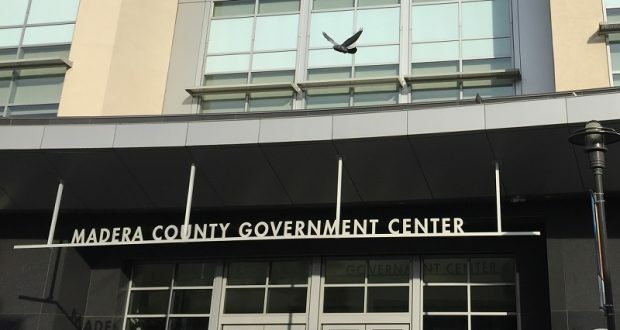 But the county is currently spending double that — about $100,000 a year — to clean up bird debris at the $33 million Government Center, which opened in 2007. 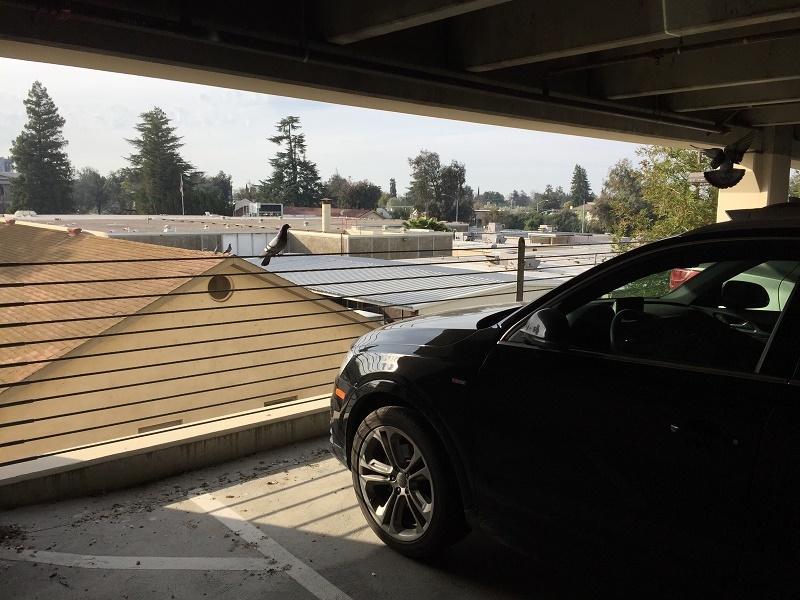 County employees and other garage users have long complained about the unsightly and unsanitary conditions, and Miranda said the county has been spending an average of $25,000 every three months just to power wash the piles of feathers and bird droppings. Late last year, supervisors decided to escalate the fight, directing staff to seek bids from area pest control companies qualified to remove the pesky birds. Fresno-based Eagle Shield Pest Control came in with the lowest bid. Then, at their Mar. 5 meeting, supervisors were presented with three options to address the bird battle. Option 1 involved the installation of bird-exclusion measures including spikes, netting and bird wire. Option 2, which involved trapping and the use of falcons, came in at $966,400. The estimate for Option 3, a “hybrid” solution that would utilize bird-exclusion measures in conjunction with falconry, was $951,000. Miranda told supervisors the falconry option was “not guaranteed,” and would also force county personnel to have to continually monitor the birds in order to know when to next summon the falconer. But Option 2, she noted, did align with the active falconry program Madera’s Downtown Association is already using to combat its own pigeon problem. The board ultimately chose Option 1, which will cost $914,700 over the next two decades. The county will soon go on the offensive. 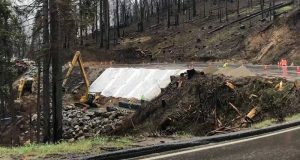 After all of the winged resident are rounded up and relocated, Miranda said the bird barriers should start going in sometime in April. Netting also will be added beneath the solar panels on the fifth floor of the garage. No parts of the Government Center building will be enclosed. 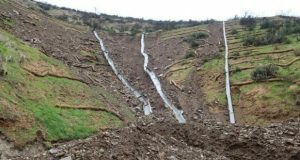 “The majority of that work will include installation of Duraspikes and bird wire,” Miranda said. The total, one-time project cost to install the new bird-defense system is $276,686 — $138,792 for the Government Center and $140,894 for the garage. All of the anti-avian measures should be in place by August, just before the crows are expected to return — or try to return. Miranda said the spikes, netting and wire are guaranteed for 15 to 20 years. The warranty, she added, does not include damage caused by human vandals.